The gap between rich nations and emerging economies is closing. As a result, the global dynamics of innovation are changing. No longer will innovations traverse the globe in only one direction, from developed nations to developing ones. They will also flow in reverse. Authors Vijay Govindarajan and Chris Trimble of the Tuck School of Business at Dartmouth explain where, when, and why reverse innovation is on the rise, and why the implications are so profound for nations, for companies, and for individuals. Reverse innovation involves developing products in emerging economies and taking them to developed markets. Innovation happens far from home for MNCs but they ultimately reap the benefits through unlocked opportunities around the world. The concept of reverse innovation runs counter to the dominant logic of rich-world innovation systems. Classical innovation has meant that the traditional pillar of rich-world economic vitality: successful and long-established multinational corporations developed new products in the developed countries and sold them to the emerging economy. Typically MNCs produced three variations of the same product–a top-of-the-line premium priced “best” version, a “better” variant, which provides lesser performance and boasts a lesser price and the third watered down “good” version for 50 percent of the price for emerging markets that have a majority of the consumers with tight purse strings. So does this work? According to the authors it doesn’t. These watered down products are still too expensive for middle class and not good enough for the upper class which can anyway afford the higher end products which means after all this effort the MNC would capture but a shard of the market. Therein comes into play the concept of reverse innovation. It was coined to indicate a new phenomenon that promises to become more common in the coming years. Simply put, reverse innovation points to products being developed in the emerging economies and then being disperses to developed economies. The opposite of historically understood innovation diffusion models, reverse innovation can originate in countries such as China and India and penetrate the Western world (Chapters 1). Narayana Hrudayala is a classic example where despite ultra-low prices of surgery, the profit margins are higher than the US and the quality is world class. In Chapter two, the authors point out that the main driver of reverse innovation are the glaring gaps in performance, infrastructure, sustainability, regulatory and preferences gap that exists between developing and developed economies. Thus a product designed for a western market cannot be marginally tweaked to give a product for the Eastern markets. Further, it is pointed out that the solutions offered on the priceperformance curve for both markets are different, their demands are distinct and firm’s haphazard strategy of stripping their products of expensive features to make it affordable to developing markets just doesn’t fly. However in the reverse innovation model, the products are locally created, locally tested and locally sold before their viability in Western markets is tested. Reverse innovation has to be a clean slate innovation. Through its uphill flow, it penetrates marginalised markets and subsequently mainstream markets in the rich-world. Now this presents a formidable challenge – both organisation and personnel wise. While reverse innovation is adapted in poor countries, it ultimately trickles up into rich countries. But why reverse innovation? And how? The authors explain that when products, typically tailored to one set of market needs, are then reworked to address global markets, organisations develop and set in place new structures, mindset and skill sets. Many rich-world business opportunities are thus presented to incumbent multinationals headquartered in developed nations. Certain nimbleness in innovation by MNCs would ensure the multitude of benefits to be realised by reverse innovation, they point out. Needless to say affordability is the first milepost. Further, the MNC must observe certain provisions such as a decentralised market focus, staff and resources based in the local market, independence in setting benchmarks for products, price points and service methodologies. Once established in local markets, nothing prevents these products from testing global markets and at times even cannibalising higher margin products. Thus the mindset of the corporation has to changeusing expatriate assignments, immersion experiences and corporate events in emerging markets. 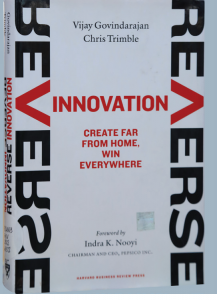 The second half of the book deals with reverse innovation in action touching upon examples of the applications, services, and uses of reverse innovation. Right from the ‘I want education programme’ conducted by Proctor and Gamble in Nigeria and Kenya to the TATA Nano in India to the handheld ECG machine from GE Healthcare division in Bangalore, products developed keeping the bottom of the pyramid consumers in mind have eventually paid off by stepping successfully into developed markets. GE’s CEO Jeffrey Immelt was seeking ways to compete effectively in emerging markets such as China and India. Vijay Govindarajan was brought on board by GE Healthcare and GE Energy units to advise. He felt that for GE to win in the US it had to win in India and China. When ECGs were costing from anything around US $3,500-4,000, doctors in India worked hard at a cheaper version to reach the middle class in India. Thus was born the portable US $500 version which answered one of the largest causes of death in India- heart attacks. However reverse innovation is not without its constraints and limitations. Given the low per capita incomes in developing economies, there is always a market for moderate quality products at very little prices. Eventually the performances improve creating a disruptive innovation and thus cater to the higher end market too. Secondly the lack of well-developed infrastructure in emerging economies often demands new technologies that need to be built up sometimes from scratch. Critical infrastructure such as energy, transportation and telecom might need replacement. And finally there exists a sustainability gap between these divergent economies. 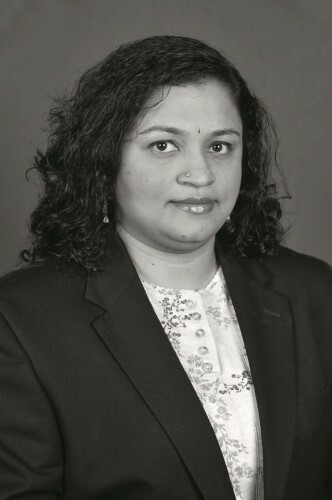 Many constraints due to limited or depleting natural resources in emerging economies cause a strain on the organisational structure for large corporate houses entering the eastern markets. Vijay and Chris touch upon a concept termed ‘leapfrogging’. The authors posit that reverse innovation will “transform just about every industry, including energy, health care, and transportation, housing, and consumer products. However the path is not easy and determination and grit will ensure that the journey is worth embarking upon. The authors place on the table exactly what works and what does not while cataloguing the tribulations and triumphs of some of the world’s leading companies (including GE, Deere & Company, P&G, and PepsiCo). The time has come where there is a need to acknowledge the new reality that the future lays far from home and to understand the phenomenon of reverse innovation. Learning these new tricks to harness the explosive growth in emerging economies and setting aside of a firm’s dominant logic as Indra Nooyi (CEO, Pepsico) mentions in the foreword is critical.